What Is Extra-Virgin Olive Oil? Here’s what to look for on the label, how to cook with it best, and what the heck “extra-virgin” means anyway. 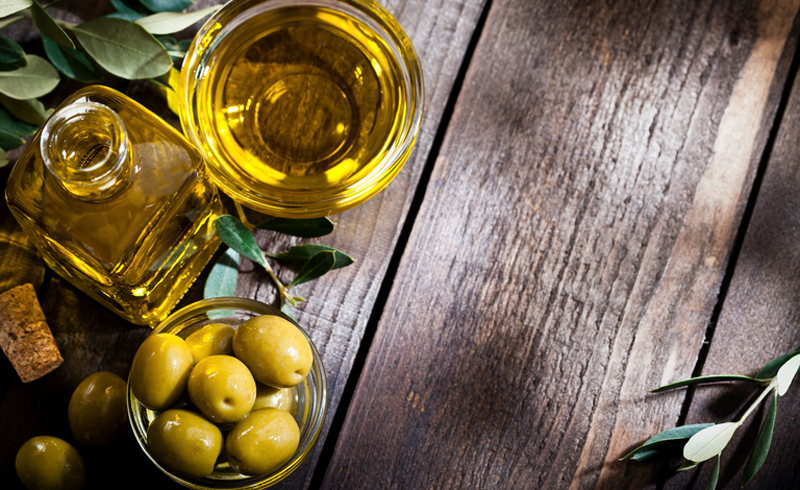 Olive oil could quite possibly be one of the most nutritious foods on the planet. Research shows that the fat, a cornerstone of the Mediterranean diet, may help your heart, ward off cancer, and improve your body’s ability to absorb other nutrients. But olive oil may also be one of the most confusing foods on the planet. Give the language on a typical bottle a scan and you’ll find words like “cold-pressed,” “harvest date,” and the ubiquitous “extra-virgin.” Some of these phrases mean jack squat, some of them are supposed to mean something, and some of them mean everything if you’re looking for an olive oil that is both nutritious and delicious. To sort out some of this madness, turn to the advice of Meagan Cole, a certified oleologist (like a sommelier, but for oil). Olive oil producers once extracted oil by pressing olives, often with large, heavy stones pulled by horses. But for the last 50 years or so, they’ve used centrifugal machines. These machines separate the oil from the olive’s solids and water. But “cold centrifuged” just doesn’t have the same ring to it, so the old term stuck. The truth: None of them are cold-pressed, but many bottles bear that language. So if an oil doesn’t say cold-pressed, don’t sweat it. The real indicators of quality are what you’ll read about next. Harvest date tells you everything. Producers harvest all their olives for the entire year in the fall. Picking at that peak time is crucial. The longer they wait, the more time the olives have to ripen, which means the more of their fat turns into water. The result is more oil, but lower quality. Many brands, like Lucini, print the harvest date—exactly when the olives were milled into oil—on the bottle, says Cole, but most people don’t even know it’s there or what it means. Anything much past a year from that date is likely to be rancid. Despite all the hype about olive oil fraud, most of the bottles you buy haven’t been cut with soy or corn oil, says Cole. The fraud occurs when they don’t meet the rigorous standards for extra-virgin oil. Per Cole, "extra-virgin" olive oil means the oil is produced from 100 percent olives without any added heat or chemical solvents. It also means that the oil must meet both organoleptic standards (which includes rigorous tastes tests) and rigid chemical standards (this is so geeky and technical we will spare you). 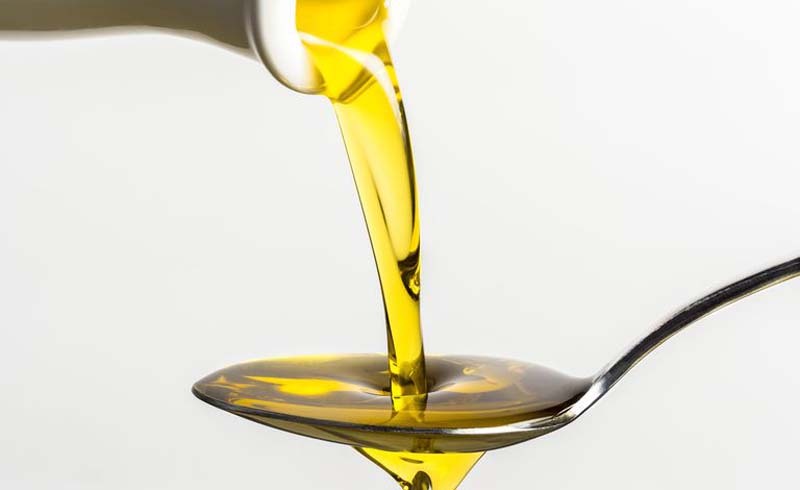 Some producers will take inferior oil, treat it with chemicals, bleach it with active carbons, and heat it to deodorize it (which destroys its flavor and nutrients) to give it the appearance of EVOO. Why has all that fraud gone undetected? Well, most of us don’t know what fresh oil tastes like. And that’s because it doesn’t last as long as you’d think. If you buy oil in a clear bottle, or without checking the harvest date, chances are good that light and time have already oxidized the contents. “Your average sealed bottle of EVOO has a shelf life of 18 to 24 months, and an opened bottle should be used within a month or two,” says Cole. Good oil has a characteristic spicy burn that lets you know its polyphenols are still alive and well. Cole compares the taste to fresh grass or herbs, and it should make your mouth feel greasy or slick. You don’t have to pay a lot for this kind of quality either; bottles can run between $15-$25. Another reason to be selective about your olive oil: The fewer impurities in the oil, the higher the smoke point. You might have heard that it’s better to use cooking fats with higher smoke point, which is, as you’d guess, the temperature at which the oil starts to smoke. Smoking is a sign that the fat is breaking down, and with it, the beneficial nutrients it contains (the flavor is affected, too). When cooking temps exceed the smoke point of an oil, you end up with less than great tasting food that’s also lost some, if not most, of it’s nutritive value. The difference between an early harvest olive oil and a late harvest one can be nearly 70 degrees (so for example, oil made from olives harvested in late November with more impurities would smoke around 350°F, while those harvested earlier in mid October would not smoke until 420°F. The Bottom Line: Choose and use an olive oil that bears a harvest date within a year. Don't base your decision on "cold-pressed" or "extra-virgin" label language. And store it in a cool, dark place, like a kitchen cabinet away from the stove, for best results. U.S. Daily News: What Is Extra-Virgin Olive Oil?